I'm posting this because maybe someone else reading this blog may have the same problem as me and perhaps this information will help. You too have probably seen the advertisements on television talking about diabetic nerve pain. Well I've had this type pain for about ten years now, but over the last six months it's become almost unbearable. Finally, enough was enough and I went to see a doctor for answers. Well I'm not diabetic, yet, keyword "yet". The doctor told me that even if I had developed diabetes over the past six months I wouldn't have this much pain already. After a bit of bantering back and forth he finally asked if I had frostbite as a child. Well thinking back I did have a mild case back when I was five. He explained that even though it was mild, it was probably the root cause. OK, the cause was solved, but make it go away. The doctor told me that there are no cures only medications that will mask the pain and if over the counter pain killers help that's what I should do. OK, that's an answer, but how do I fix it? Now on a mission to find the answer I went on a week-long search for shoes that may fix my dilemma. Sure I found lots of orthopedic shoes with claims they would help or even eliminate the pain, but you know me, the cheap ash that I am, I couldn't shell out $200 + for one pair of shoes. Eventually my searching on Amazon.com paid off. 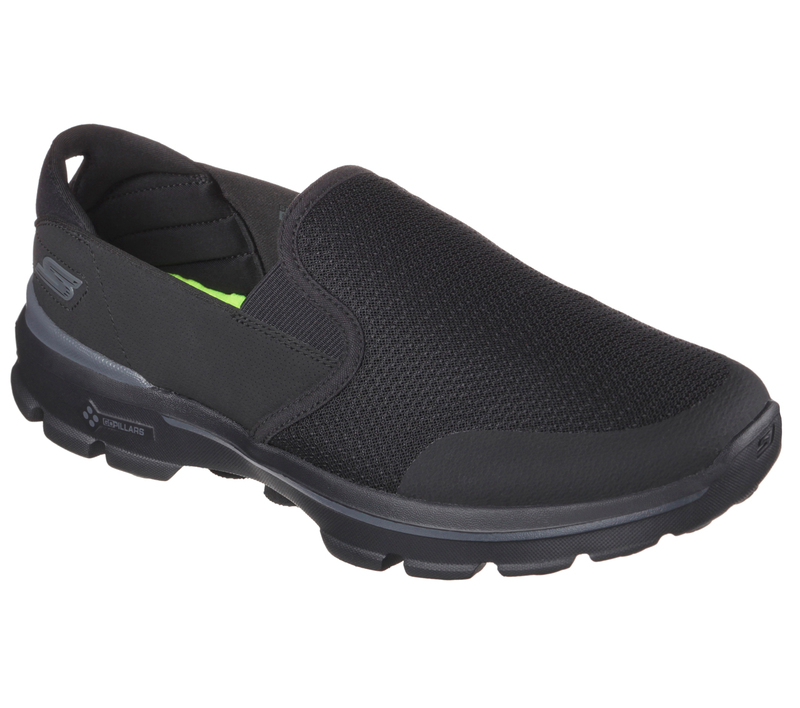 I came across the Skechers GoWalk 3 Shoes. Reading through the reviews one person relayed these shoes had completely cured her husband's diabetic nerve pain. Well that sounded pretty good to me and since the shoes were under $80 I was now on the hunt for a pair of my very own. We have a Skechers discount outlet here on the north side of town so we elected to make a run across town to pick up a pair instead of waiting for an Amazon order to arrive. That turned out to be one of the best decisions I've ever made. I put the Skechers GoWalk 3 shoes on before we did a bit more shopping and almost instantly my foot pain was gone! Believe it or not, while wearing these shoes, I have NO foot pain at all. It's almost like magic. These shoe work so well I'm either buying or ordering another pair today. If you have any thoughts or questions about this, let me know.